Home Lifestyle Entertainment Spend an Evening With Taylor Hicks This Weekend! Spend an Evening With Taylor Hicks This Weekend! 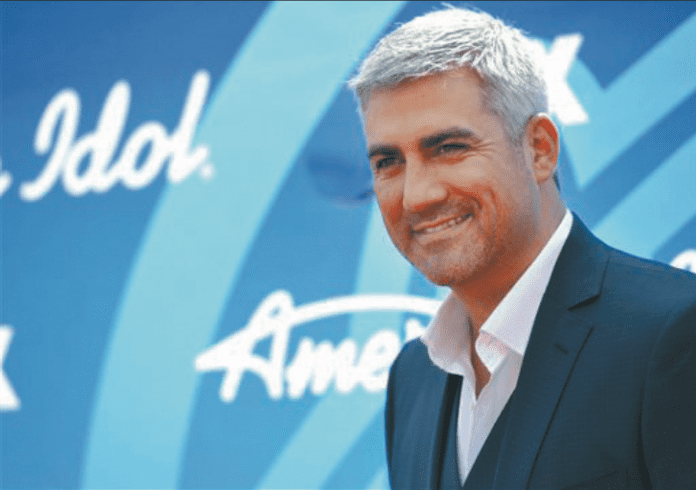 Nashville, TN—Taylor Hicks, American Idol season five winner will be performing in Nashville this weekend for a series of shows at City Winery, November 16 – 20. From the start, Hicks’ material on the mega-hit show set him apart, with a unique take on Southern soul, R&B, country and blues. 64 million votes were cast when Hicks won. Over 37 million Americans- 200 million viewers worldwide, tuned in to crown Hicks the Season 5 winner of AMERICAN IDOL, making it one of the most-watched TV events of the last decade.Hicks launched his career as one of the most popular AMERICAN IDOL winners of all time, going on to prove himself a multi-faceted powerhouse, dominating in music, on Broadway, Las Vegas, an author, entrepreneur and actor. Taylor’s love for good down home food was turned into a successful restaurant when he opened Saw’s BBQ and Juke Joint, a BBQ restaurant and live music venue, in his hometown of Birmingham, AL. Saw has earned praise from top praise in ‘Best of BBQ’ lists from NY Times Magazine, Men’s Journal, GQ and more. But it’s the music that Taylor’s known for. He’s currently in the latter part of a tour that will soon end for a holiday break before resuming. Hicks had music on his mind from childhood. As a young adult, he was a fixture in the Southeast music scene, performing with stars like James Brown, Tom Petty, Jackson Browne, Robert Randolph, Keb’ Mo’ and Widespread Panic. While in Nashville this week he’s in the studio working on his next album, which should be out sometime early next year. Taylor took a few minutes of break from the studio to chat with The Tribune about food, music, his new television show and Alabama football. TRIBUNE: Recording a new album in Nashville…should be out by the spring of 2017. Are you collaborating, duets with anybody? TRIBUNE: So I guess it’s a Browne plus Brown equals Hicks kinda sound? TRIBUNE: What is it like to attend a Taylor Hicks concert as a fan? TRIBUNE: So tell me about your new television show (State Plate) that you’re hosting on the Inspiration Network? TRIBUNE: So have you gained any weight from hosting this show? TRIBUNE: You seem to now be one of the “go-to guys” when it comes to food. Your restaurant in Birmingham (Saw’sBBQ) has racked up several top awards for your BBQ. TRIBUNE: Before American Idol fame, were you that uncle in the family who was a BBQ-meister? TRIBUNE: Any personal favorite entrees at Saw’s? TRIBUNE: I’m looking for my car keys now. On my way to Birmingham for a sample! TRIBUNE: Since you are a native of Alabama, I must ask, who’s your pick to win the 2016 Iron Bowl game between Alabama and Auburn?